with Chicken Dijon or a cold seafood platter. 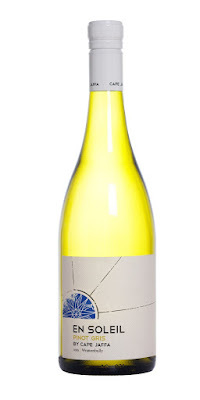 ONE TO NOTE: HEEMSKERK Wines brought together fruit from cool climate vineyards in the Coal River and Derwent Valleys of Tasmania's south to create their very flavoursome 2014 Abel's Tempest Chardonnay. Reflecting just how well Chardonnay does in such cool conditions, this rewarding drop has generous flavours underpinned by lemon/citrus fruit and subtle oak, yet still remains quite soft and elegant. Pay $25 and pair with Chicken Dijon as a hot main course, or with a cold seafood platter of oysters, prawns, spanner crab and smoked salmon. The Abel's Tempest label is named after the violent winds that hammered Dutchman Abel Tasman and almost thwarted his discovery and landing on Tasmania in 1642.
again come the Festive Christmas Season. IF you love your plum puddings and rich fruit cakes, and all the more so on these cool to chilly nights, a great wine to match them up with is a very more-ish Fortified Durif under the Three Bridges label from Calabria Family Wines in the NSW Riverina. And being so wonderfully full bodied, rich and big, we'll bet you'll be quick to realise that this is a drop to start thinking about for another time too… December and these Christmassy delights all over again. With 18% alcohol by volume this is a sipping wine that by enjoying slowly you'll really appreciate it's delightfully rich and intense palate of dark berries, balanced tannin and beautifully silky smooth finish. And on pouring, savour it's equally enticing aromas of lush berry fruits and elegant brandy spirit. At $40 the currently available 2013 Calabria Family Wines Three Bridges Fortified Durif is ready for enjoyment now – then come Christmas, too – or it can be bought and put away for anything up to 40 years. IN his continuing search for the more weird and wondrous in this world, David Ellis says a buyer in England has just paid 117,500 pounds – that's AU$206,000 – for a case of 28 year old French Pinot Noir wine. And if he's going to share it around, it's going to cost him something like AU$2,860 a glass to indulge family or friends in this drop, a forebear of which the Archbishop of Paris famously likened in 1780 "to drinking velvet and satin." 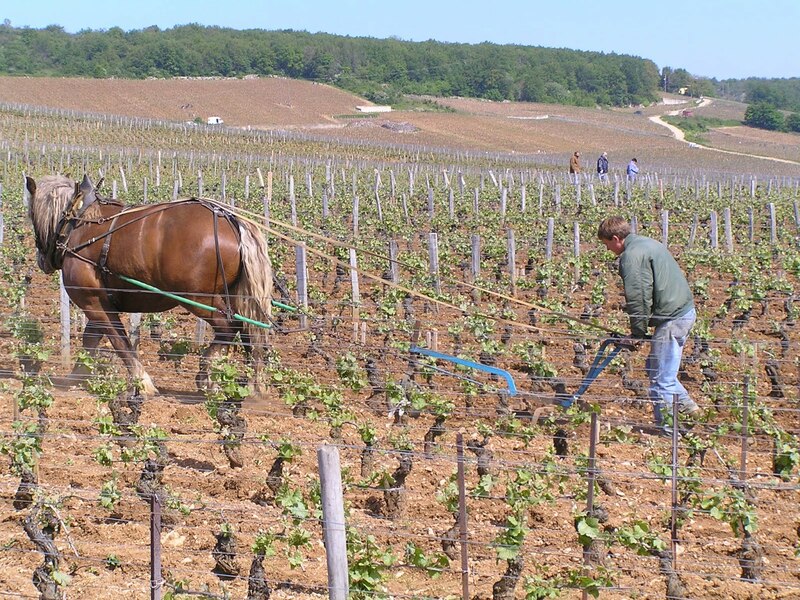 The 1988 vintage Romanee-Conti wine that's just sold at a Bonhams auction in London for that huge price, is from a maker in Burgundy whose history goes back to the 12th century, when it was first made by monks in a local abbey. And interestingly at one stage was the centre of a bidding war between Madame de Pompadour, the mistress of Louis XV of France, and the country's Prince de Conti – who won, and promptly added his name to the until-then just Romanee label. Today the winery produces a mere 450 cases of Romanee-Conti a year off a 1.8ha (4.4 acre) vineyard in which horsepower is used so the vineyard is not damaged by the wheels of tractors, and the only fertiliser put to the vines is compost made from waste from the winery itself. Grape bunches are hand selected off the vines, each grape for the actual winemaking then hand chosen, and all 5,400 annual bottles individually numbered and their ownership tracked and recorded each time they change hands – or are finally consumed. Sydney’s largest celebration of craft beer, Sydney Craft Beer Week (SCBW), is back with a magnificent program brimming with beer-tastic adventures from Friday 21 to Sunday 30 October 2016. More than 100 events at over 75 different venues around Sydney will bring the brew to Sydneysiders, bigger and better than ever. From axe throwing competitions, international brewery guests, hangover curing brekkies, beer matched chocolate desserts, sausage making classes and beer guzzling history lessons, the SCBW program offers up a smorgasbord of glorious hoppy-goodness for both craft connoisseurs and occasional drinkers alike. The festival kicks off with the pinnacle of craft beer experiences, the Opening Gala Night at the Giant Dwarf in Redfern. Each year the Gala is a sell out, so for 2016 the event will run two sessions across two days of the opening weekend. Thirsty hop diehards won’t miss an opportunity to sample a showcase of handpicked beers and brewers who will be featured over the Festival’s week long run. The Crafty Pint is bringing the popular Pint of Origin™ to Sydney Craft Beer Week for the first time, turning Sydney into a microcosm of the Aussie beer world for the week. 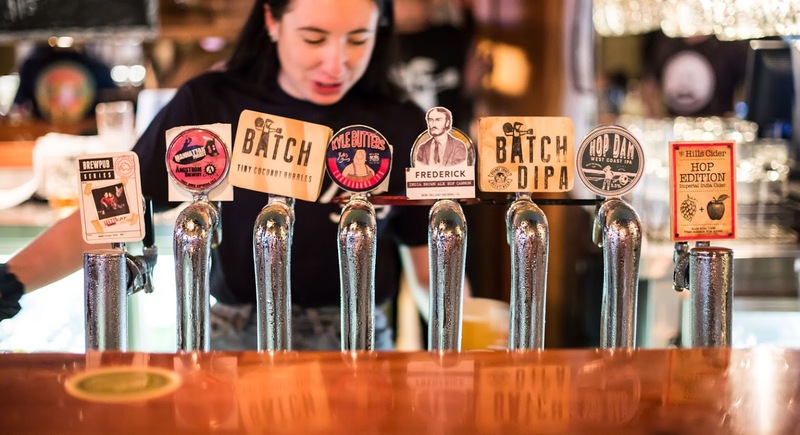 Six pubs across Sydney turn their taps over to beers and brewers from the six Aussie states to give small breweries a chance to showcase their wares to lovers of a good brew. Pizza and beer has been an age-old match made in heaven, and this year everyone’s late night favourite, Frankie’s Pizza joins in on the fun, releasing nine brand new beers produced by top brewers from around Oz and NZ. The free entry event on October 24, will see the masses swiggin’ on cold crafts, sampling some top notch slices and rockin’ and rollin’ to Frankie’s World Famous House Band. Now here’s a history lesson your taste buds will thank you for, Beer through the Ages: A Beer History Experience, is a brand-spanking new event for the Festival and takes beer lovers on a drinkable journey through time. Learn about the migration of beer from Mesopotamia to Egypt, Scandinavia and beyond, all while enjoying five historical styles of beer from different periods of time. Beer is great, but free beer is LEGENDARY! Beer Cartel’s Ultimate Free Beer Tasting is giving a chance to taste over $1000 worth of craft beer - for free. Brewing powerhouses Westvleteren 12, Founders KBS, Stone & Wood and many more have banded together to deliver the ultimate tasting experience. Like a beer themed tour of Willy Wonka’s Chocolate factory, there’s a lottery to decide the lucky few who get to snag a golden ticket to this event. Register on the SCBW website to enter the draw to win a seat! To celebrate the thriving craft beer industry, SCBW are hosting the inaugural Sydney Craft Beer Awards. Not only will the best of beers and brewers be celebrated in this industry night of nights, but also all those behind the scenes that make the craft beer scene in Sydney as rich and vibrant as it is today. After the awards, punters can sooth their fuzzy heads with the Hair of the Dog Breakfast at the Rocks Brewing. Six indulgent courses will be paired with six of the best beers to help relieve the craft comedown bought on by the night before. Festival favourites also return in 2016. Last year Holes ‘n’ Hops was a sell-out with punters starting the day smashing burgers and brews before taking to the greens for a nine-hole golf tournament - with a beer for each ball sunk. Most wouldn’t think sharp tools flying through the air and beer would be the best mix. Not so, says SCBW! Last year’s Meat, Beer Axe event was as thrilling as it was safe, and returns in 2016. Willie the Boatman is teaming up with Maniax axe throwing centre and the juicy lads of Bovine and Swine to present another night of axe throwing, beer drinking and meat eating fun. Like Sydney’s craft beer movement, Sydney Craft Beer Week has grown to be hugely popular with locals and visitors alike. So gear up, polish off the beer goggles and get ready to say a toast to Sydney’s favourite Festival. Clare Valley red wine production? ONE TO NOTE: IT'S over half a century now since winemakers in the Clare Valley started putting together a blend of 70% Cabernet Sauvignon and 30% Malbec, one that as the Valley's Tim Adams says has come to represent for many serious wine lovers the "Holy Grail" of Clare red wine production. Indeed some of the greater vintages have seen the style attain almost mythical status, with Tim Adams' own just-released 2012 blend an absolute ripper. Tim's Cabernet Sauvignon can always be counted on as an outstanding wine, and the addition of Malbec to the 2012 has given texture and richness to a resultantly wonderful, full-bodied drop. At $26 it's a perfect match with grilled chorizo sausages. with a Winter's time chicken pot pie. ONE night at a dinner with colleagues in Victoria back in the mid-1990s, Queensland businessman Terry Morris mentioned how he'd recently enjoyed a great wine from Queensland's Granite Belt – and was almost laughed out of the room amid cries of there being "no such thing as a great wine from Queensland." It was the proverbial red rag, and on returning home the entrepreneurial Terry immediately searched that Granite Belt, bought a substantial parcel of land, and established vineyards and a winery that are today not just amongst the most successful in Queensland, but indeed in Australia. Terry named his venture Sirromet Wines and in 2000 launched his first reds and whites out of this cool-climate region in high country three hours south-west of Brisbane. The rest, as they say, is history… and guess who's laughing now? Particularly rewarding is his 2013 Sirromet Signature Collection Chardonnay, a must-have for Chardy buffs that's beautifully rich-bodied with creamy green apple and pear flavours, suggestions of cashew paste and ripe rock-melon, and a finishing touch of lime acidity. At $35 it's a perfect pairing with steamed or grilled fish, or a Winter's chicken pot pie. Margan 2011 Aged Release Shiraz - Hunter Valley. or venison in a red wine sauce. ONE TO NOTE: ANOTHER nice big one that'll have you quickly smacking your lips – and particularly so if you've reason for special-occasion dining coming up – is a Margan 2011 Aged Release Shiraz from the Hunter Valley. Made from fruit off forty year old vines, this exceptional drop had 20 months in French oak barriques after fermentation, and was then bottle aged in Margan's cellars for a further four years. It means that today it's full-bodied and smooth with varietal white pepper spiciness, and with classic ripe dark-berry, tar and cigar box characteristics of Hunter Shiraz. With its solid tannin structure you can see this one maturing beautifully over the next couple of decades… but if you want to enjoy it now (and its currently $100 a bottle,) match with a special-occasion dinner of roast duck, or venison in a red wine sauce. dining such as Steak Entrecote Marchand de Vin. A NICE big-hearted drop to enjoy this time of year with equally big-hearted wintertime dining, is Taltarni's classic "Bordeaux Blend" that brings together Cabernet, Merlot and a splash of Petit Verdot. Sourced entirely from Victoria's Pyrenees, the 52% Cabernet Sauvignon gives this one beautiful dark-berry fruit flavours, the 42% Merlot plum and cocoa, just 6% Petit Verdot balances acidity, and there are lovely tannins… making for an overall judiciously full-bodied food wine that can be bought and enjoyed now, or popped away to develop for even greater pleasure a few more years down the track. And it's one to also think about decanting before serving, giving it a chance to open-up and show itself off to best advantage upon pouring; just 15 or 20 minutes for the currently available 2014 vintage would be fine as it's a still quite young drop. 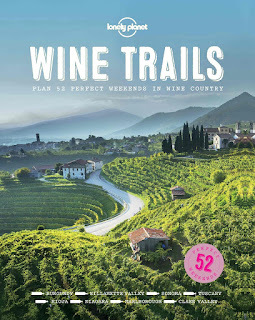 ONE TO NOTE: IF you're heading overseas, or just staying closer to home on that next holiday, and some winery visits along the way are on the agenda, a must to get hold of before you go is a book from Lonely Planet called Wine Trails. For here is a meticulously researched introduction to not only something like 330 wineries in 52 regions of twenty countries, but tips on where to stay around those wineries, where to eat, maps to help get around… and of course the specialities in local wines. And it covers not just major established wine countries and regions, but newly-emerging one too like Lebanon and Georgia, with suggested local wines to try. Designed for social quaffers and free of confusing mumbo-jumbo wine-talk, this is a must-buy at $35 to ensure getting the most out of winery visits on that next big trip. HERE'S a helping hand to get the most out of winery visits on that next overseas or Australian holiday. back to the founding of Coonawarra in 1890. 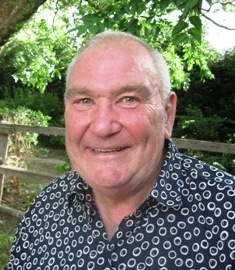 ONE TO NOTE: WHEN Peter Rymill founded the family wine business along with his wife Judy in Coonawarra in 1974, it was not as if he did not come with some "form" when it comes to our wine history – it was his great, great grandfather, John Riddoch who actually founded Coonawarra itself in1890. And since 1974 one variety that Rymill have shown they're consistent masters at is Cabernet Sauvignon, a recently-released 2013 a classic drop redolent with rich dark fruit flavours, chocolate and liquorice, and nicely balanced acidity that all reflect the excellent vintage Coonawarra enjoyed in '13. At $35 it will only further develop beautifully with some cellar age, or enjoy now with Beef Bourguignon. Wyndham Resort and Spa Dunsborough has been confirmed as the new venue for the Margaret River Wine Show for the next three years. The resort provides the perfect event space to accommodate the show, which is expected to attract increased entries due to the addition of the Halliday Wine Companion Australian Cabernet Challenge. The Halliday Wine Companion Australian Cabernet Challenge will take place alongside the Langton's 2016 Margaret River Wine Show from 31 October to 3 November 2016. "We're thrilled to announce our partnership with the Margaret River Wine Association as host to this significant national and international event. Not only do we get to showcase our wonderful resort and its recent enhancements, this event continues to highlight Margaret River's progress as a world class wine region and tourism destination," said Damien Keenan, Resort Manager. Wyndham Resort & Spa Dunsborough is a beachfront resort located in the heart of Western Australia's South West, overlooking Geographe Bay. Surrounded by vineyards, beaches and fine dining, the resort features an abundance of activities and facilities. The spacious, well-appointed accommodation ranges from hotel rooms to fully self-contained one and two-bedroom apartments, and four-bedroom beach residences, all with a balcony or patio. The extensive resort facilities include a fully-equipped gym, Flourish Day Spa, floodlit tennis court, meeting rooms, wedding chapel, direct beach access, swimming pool and heated spa pool. The onsite restaurant Toby's Restaurant & Bar offers relaxed quality Margaret River dining. Australians say they are drinking less but better with our per capita spend on alcohol rising as we seek out more premium alcoholic beverages, according to a new report released today. The emmaTM (Enhanced Media Metrics Australia) Alcoholic Beverages Trends & Insights Report* found that half of people aged 18 years and over say they are drinking less now than they used to. There is also a move to premium beverages, with the dollar value of liquor sales rising 1.5%^ in 2015, which means Australians are spending more on their favourite drink. Australia is an overwhelmingly wine and beer drinking nation. Wine is our most popular drink, although men up to age 65 prefer beer, the emma data has found. Cider is our third most popular drink, followed by scotch or whiskey, with other varieties well behind. Women opt for wine more than twice as often as other drinks, whereas men are more varied in their consumption patterns. White wine edges out red as the most consumed at 43% of adults, compared to 41%, while 23% enjoy sparkling wine or champagne. “Alcohol is still very much part of Australian culture, with three quarters of adult men and women consuming an alcoholic beverage in the past four weeks. Alcohol also features heavily in people's social lives with the majority preferring to drink with friends,” Ipsos Connect Executive Director – emma™, Jane Nicholls, said. Perceptions of quality and value change as people age and emma data shows that older people are more likely to believe that Australian wine is better than that from overseas. They were also less likely to try foreign beers, preferring homegrown brands. There has been a shift in places and occasions where Australians prefer to drink, which changes by age and life stage. The majority of Australians prefer to drink at home, which was most prevalent among 30-32 years olds at 87%. Venues where alcohol is consumed differ among various age groups. For example, among 24-26 year olds, 61% drank at a friend or relative's house, while 19% of 18-20 year olds drank at a nightclub. Among older people, 50% of 45-47 year olds drank at a restaurant or café, while 36% of 54-56 year olds drank at a bar or pub and a third of 66-68 year olds preferred RSLs, bowlos or an AFL club. According to Ipsos's consumer segmentation, there are four key segments that represent 35% of Australia's adult population who are the most likely to drink any alcohol more than once a week. They are the 'Educated Ambition' (highest earners and most educated), 'Social Creatives' (young, affluent urbanites), 'Serene Seclusion' (people at or near retirement living in regional and rural areas) and 'Conscientious Consumption' (middle and upper class families) segments. * The report draws on data from emma (Enhanced Media Metrics Australia) to explore the changing mindsets, preferences and behaviours of Australian adults towards alcohol. emma interviews more than 54,000 people each year. perfect with wintertime beef or lamb roasts. 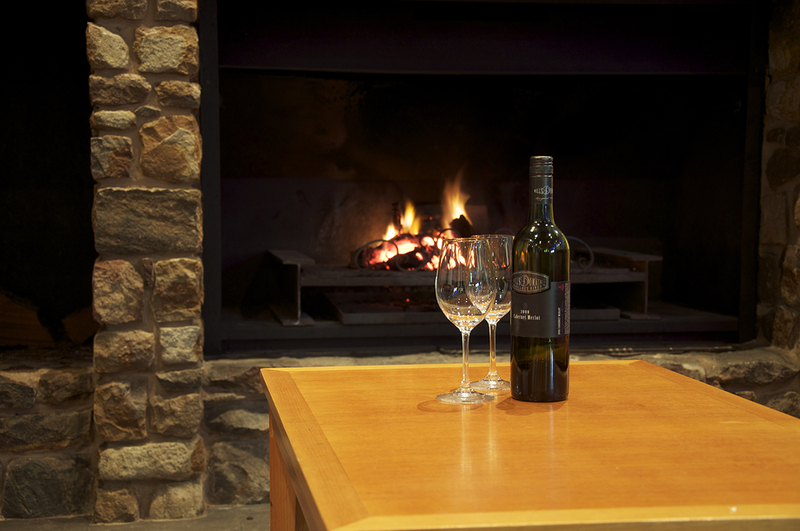 ONE TO NOTE: FAMILY owned and run Shaw Vineyard Estate in cool climate Murrumbateman 30km north of Canberra, have released a great drop for winter-time enjoyment in their 2013 Cabernet Sauvignon. Developed on a one-time fine wool growing property, Shaw have put much effort into diligent pruning to keep yields to around eight tonnes of fruit to the hectare, and this coupled with 2013 being an excellent ripening year, has resulted in the 2013 Cabernet Sauvignon proving a stand-out wine. With rich dark fruit flavours showing nice touches of mint, and at $25 a bottle, this is one for the table with hearty winter-time braised or roasted beef or lamb, accompanying vegies and a nice sprinkling of aromatic herbs. one of our smaller winemaking areas. ALTHOUGH grapes were first grown at Wrattonbully on South Australia's south-eastern Limestone Coast from the 1880s, it was for making jam and not for another century was thought given to the potential of the area for winemaking. Between the Padthaway and Coonawarra wine regions and with similar characteristics to these famed areas, Wrattonbully is today one of our smaller wine regions after really kicking ahead with large-scale plantings in the 1990s. Amongst current noteworthy makers is Cape Jaffa Winery, whose 2015 En Soleil label Pinot Gris is just now becoming available. A somewhat luscious drop with wonderful varietal lemon, apple and pear flavours, and coupled with nice aromatics, interestingly this was made from fruit off certified fully-biodynamic vineyards on which herbicides have been eliminated and biological fertilisers are being trialled. Along with six signature ales, an exciting new energy has been untapped in Port Douglas this week with the highly anticipated opening of Hemingway's Brewery. In advance of this weekend's Federal Election, the Hon. Warren Entsch, Member for Leichhardt paused briefly on the campaign trail to pay Port Douglas' newest drawcard a visit and congratulate owners' Tony Fyfe and Craig Parsell on their investment, vision and confidence in the region. “When I officially opened an additional 30 new berths at the Marina last August, work on Hemingway's had just begun and now, just 10 months on, to see it in all its glory is a wonderful and impressive sight,” he said. An integral part of The Reef Marina's multi-million dollar redevelopment, Hemingway's, as a world-class, waterfront venue, represents a welcome boost to Port Douglas' thriving visitor and events market providing 50 full-time jobs. For the owners, the opening of Hemingway's brings to life a dream that stems from a love of Port Douglas, getting out on the water for a fish and of course, sharing stories over a top quality ale. The pair also own and operate Port Douglas' bespoke sport fishing charter business, Far North Sports Fishing established in 2013. According to Mr Fyfe, Hemingway's incorporates two expansive levels with indoor and outdoor seating designed to make the absolute most of its uninterrupted 180 degree views of the Marina, entrance to the world-famous Great Barrier Reef and rainforest clad mountains. “Craig and I envisaged a contemporary meeting place with all the tropical spirit and coastal charm of Port Douglas and its idyllic setting. We want Hemingway's Brewery to become part of the Port Douglas story – known near and far for its welcoming atmosphere, memorable service and authentic craft beer,” said Mr Fyfe. Head brewer, Jared Stewart said his place at the helm of Hemingway's state-of-the-art microbrewer is a golden opportunity to let his creativity flow as freely as the amber liquid itself. Mr Stewart said Hemingway's craft beers were made with just four key ingredients – alongside yeast, the finest and freshest hops, base malts and the clear waters of Mossman Gorge for a beverage that is unfiltered, unpasteurised and preservative-free. “Brewers within the craft beer industry are known for their passion and commitment to creating an ale that resonates with their fellow beer lovers who will savour the end product,” Mr Stewart said. Each signature ale was developed and brewed in-house to reflect a particular aspect of the region's past, ranging from the pioneering prospectors of the gold rush to the resilience shown in the wake of the devastating 1911 cyclone. 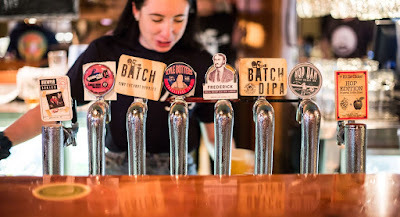 The launch range includes the IPA, Doug's Courage, named for the way heart prevailed over hurt as the town rebuilt after the tropical cyclones of 1911; while the signature pale ale, Pitchfork Betty's, was inspired by Old Betty Whiting, a former local publican who was best known for brandishing an iron pitchfork against unruly patrons. Besides serving the freshest quality craft beer, Hemingway's offers an ale-matching menu of gourmet pizzas, tapas and BBQ-style food. The spacious surroundings and choice of indoor and outdoor areas with wide verandahs and bi-fold doors that can be closed for a fully air-conditioned venue make the 850 square metre Hemingway's a versatile and appealing venue that can cater up to 650 guests be it weddings, parties, meetings or any event. The brewery's top floor, named Upstairs@Hemingway's includes a bar and event centre oriented towards the stunning views across the marina. The ground floor incorporates expansive garden bar and lounge bar areas.